James Baldwin’s “Sonny’s Blues” first appeared in Partisan Review in 1957. Since its initial appearance, the story has come to define much of Baldwin’s reputation across numerous anthologies. For instance, since 1963, Baldwin’s work has appeared in more than 40 anthologies and “Sonny’s Blues,” has been included in over 13 anthologies since 1995 alone. From around 1960-1972, many anthologies included excerpts from Baldwin’s Go Tell it on the Mountain (1953). In 1965, Baldwin released Going to Meet the Man, an 8-piece short story collection. “Sonny’s Blues” was reprinted and included in this collection. Beginning around the mid-1970s, Baldwin became a mainstay of African American and American literature anthologies. 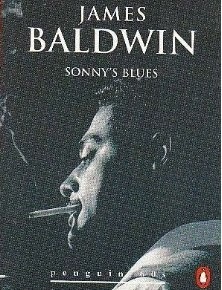 Baldwin’s essays are sometimes included, but his short story “Sonny’s Blues” seems to have become an integral feature of black literature anthologies since 1975. In other words, if you were to pick up a general literature anthology containing major black writers published after 1975, it’s very likely that Baldwin’s “Sonny’s Blues” will be included. Despite Baldwin’s wide body of work ranging from novels, essays, and short stories, anthologists tend to represent most of his literary legacy by a single short story. More attention to the publication trends related to black short stories may reveal the role editors play in shaping the view of literary texts by black writers that gain exposure.